NOTE: We haven’t posted an interview in over a year for two reasons: (1) We took a sabbatical. It’s exhausting being love in a world that seems to prefer hate. But now’s not the time to wither; it’s the time to be more loving, to build sturdier bridges, to ask, “How may I help you?”, and (2) we lost our wonderful professional transcriptionist. So transcribing each interview takes us much, much longer than it used to. But we’re back…ready to love, build, and ask. In June of 2018, The Only Love Project’s Bill Murphy (BM) conducted the following interview with Fr. Patrick Collins (FP) at his beautiful home near Lake Michigan. And when I write “beautiful,” I mean it. 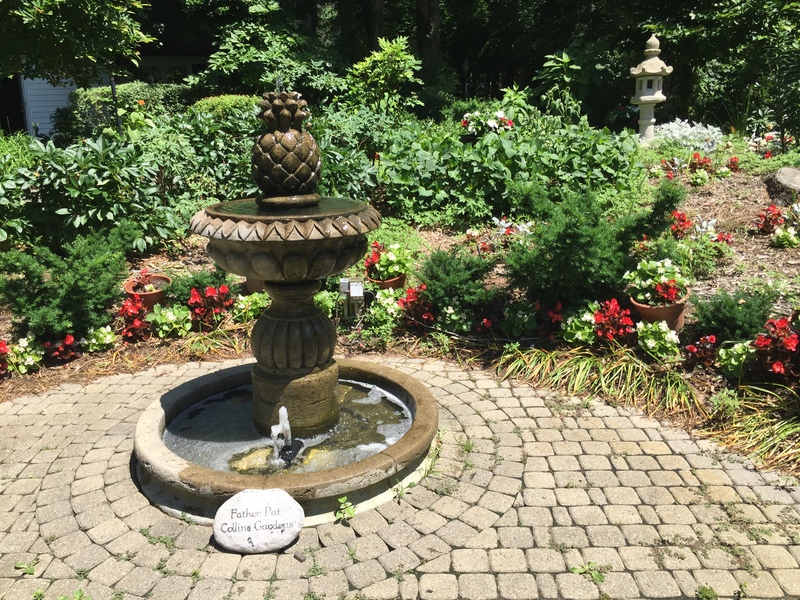 We sat on the deck that overlooks a lush, well manicured lawn and flowers, a slight breeze tinkling the wind chimes, the sound of running water from nearby fountains gurgling and bubbling. It was an idyllic spot for the conversation that follows. And what follows is an eloquent, fascinating interview not only about love, but also about the life of one of the most genuine people I’ve ever known. Enjoy! BM: What would you like others to know about you? FP: Well, I’m almost 82 years old, and I was born in Peoria, Illinois, raised in a small farming community called Wyoming.